On August 27, the Begin Center will be marking the fifth anniversary since its opening in 2004 and the remarkable achievement of over a half-million visitors since then. The museum will be open to entrance at no charge between 6 PM and 9:30 PM. 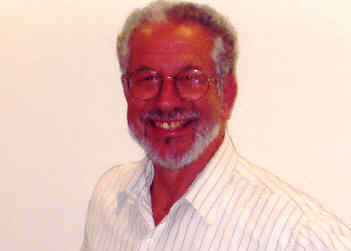 At 7PM, Dr. Micha Goodman will be delivering a Parshat Shavua talk on “Philosophical Elements of the Biblical Leader”. At 8PM, Dr. Udi Lebel will address the subject of “The Right and the Israeli Memory”. At every hour that evening until 9 PM, a tour will leave the Center on the subject: “Two Explosions That Shook Jerusalem”. And on the Balcony, the Jerusalem Ensemble will play the “Dondorma March” at 9:30 PM. An advert has been published in various newspapers and other sources inviting submissions of candidates for the Begin Prize. The prize, an annual award, is given for “an outstanding contribution to the Jewish people and the state of Israel”. Individuals, organizations and institutions can submit nominations to the Prize Committee. This can be done to the offices, at email: offices@begincenter.org.il or to fax: 02-5652010. Nominations will be accepted until September 10, 2009. On Tuesday, July 21, the 29th of Tammuz, following the state-sponsored commemorative ceremony at Mount Herzl for Ze’ev Jabotinsky and his wife, Yohanna, the Begin Center will conduct a memorial ceremony at 7:30PM (reception at 7). Former Minister Roni Milo and Herzl Makov will deliver greetings and the poet Miron Issacson and Professor Yehuda Friedlander will address the topic of “Jabotinsky: Poet and Author”, Hanan Yovel will sing three songs, one especially composed for the event based of poems written by Jabotinsky, the Bnei Binyamin choir will also sing and Habimah actor, Oded Tehomi, will recite portions from Jabotinsky’s writings. A special supplement commemorating Jabotinsky will be inserted into the Friday/Weekend edition of the Maariv newspaper in cooperation with the Public Memorial Council for Ze’ev Jabotinsky. The 26th Jerusalem Film Festival, once again, will be showing several of the films at the Reuben Hecht Auditorium of the Begin Center between July 10 -17.